WHY NOT BRING THE CARIBBEAN TO YOU? 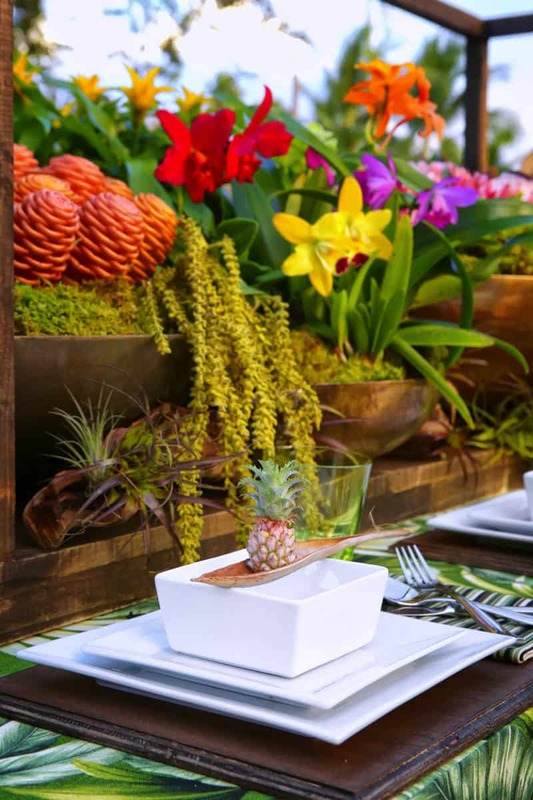 CREATE THIS BRIGHT & TROPICAL TABLESCAPE! I have been so obsessed with all things tropical this summer! I can’t get enough of all the luscious greenery, exotic prints and pineapples that have been popping up all over the place, and there’s no wonder I love it, even the thought is taking me back to our magical summer holiday! So who, apart from me, is is embracing the tropics? “If you are having a destination wedding and not all of your guest are able to attend, you can bring the Caribbean to them” Melanie explains. Tropical fruits & flowers can give nice contrast. Excellent idea! Founder and Chief Creative Officer.